If you have asthma, your airways have chronic inflammation that causes shortness of breath and other symptoms. 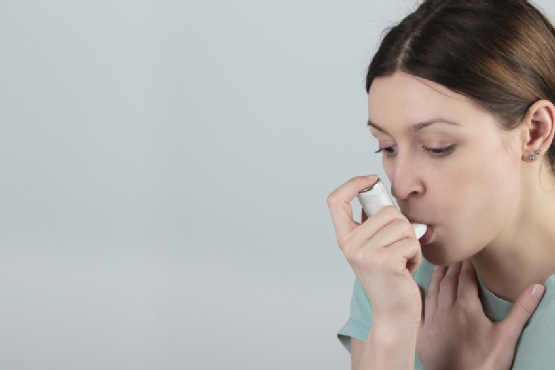 During an asthma attack, these symptoms can become rapidly worse. Work with an allergy doctor to determine a course of action to take in the event of an asthma attack. For instance, your allergy doctor can help you identify which symptoms indicate a need for emergency medical care. An asthma attack occurs when the airways become significantly inflamed and swollen and the surrounding muscles contract. This causes your bronchial tubes to constrict, which makes it difficult to breathe. Asthma attacks can range from mild to severe. During a mild asthma attack, immediately follow the plan of treatment established by your allergy doctor. Severe asthma attacks require urgent medical care. You might notice some early indicators of an impending asthma attack. Your symptoms may interfere with your sleeping patterns, you might feel irritable, and you’ll likely cough and wheeze frequently. Check your lung function with your peak flow meter, as instructed by your allergy doctor. If the readings are lower than normal, you could be at a greater risk of an asthma attack. During an asthma attack, your coughing and wheezing becomes rapidly worse and you’ll likely notice tightness or pain in your chest. You’ll increasingly have trouble breathing, despite using your rescue inhaler in some instances. Additional symptoms include hyperventilation, panic, and problems talking. You might notice your lips or fingernails acquire a bluish tint, and your face may appear pale and sweaty. Asthma attacks are life-threatening. Call 911 immediately if you experience worsening symptoms. Make sure your friends and family members can recognize the symptoms of an asthma attack and understand the need for immediate medical assistance. If you frequently experience worsening asthma symptoms, your allergy doctor might recommend changing your treatment plan. Board-certified allergists/immunologists comprise the entire physician staff of Allergy & Asthma Specialists. Allergy doctors at this premier medical practice provide comprehensive allergy and asthma diagnostics and state-of-the-art treatment—including two types of immunotherapy —at offices located in Center City Philadelphia, Blue Bell, King of Prussia, Jenkintown, Doylestown, Lansdale, Pottstown, and Collegeville, Pennsylvania. Schedule an appointment online or by calling 1-800-86COUGH.